People are drawn the Lake Travis area for a reason. Master planned communities, like Waterford on Lake Travis offer opportunities for an incredible lifestyle. Located just twenty miles outside of Austin in the beautiful Lago Vista area, Waterford features a quiet, wooded feel combined with easy access to elegant, upscale living. Much of the success and feel of Waterford on Lake Travis can be attributed to the ideal placement of the community. The warm and welcoming shores of Lake Travis allows you to enjoy both the unmatched natural beauty of the lake and the convenience of working, shopping and dining of Austin. 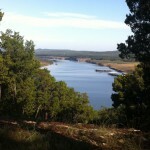 Few communities can boast about the amenities that Waterford on Lake Travis affords its residents. From gated, secure homes, to a modern, award winning marina, there is always something going on. The subdivision itself offers a wide variety of interesting events and happenings to keep you coming back. You can take in a spectacular sunset or rent a party boat or even just a couple of jet skis at Paradise Cove. Or, if you just want to get away from it all and have a family picnic, you will love the lush landscape. The Lago Vista Independent School District has been ranked high in both education (based on test scores and academics) and its dedication to creating lifelong learners. Students learn more than just the three “R”s. They also learn about being good citizens, sportsmanship and how to succeed in becoming all they can be. At Waterford on Lake Travis, you can be as busy as you want to be. There are plenty of places to shop, dine and visit. 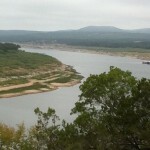 Many upscale and exclusive destinations dot the area surrounding Lake Travis. From intimate little cafes to sophisticated shops, you can window shop, sip a delicious latte or read a great book on a wildflower covered veranda. Enjoy a casual lunch with friends at the Gnarly Gar in Point Venture (5 minutes from Waterford). Whatever your mood, there is always something close by to delight your senses. At Waterford, you will find excellent home sites for your custom home. They feature perfect orientations and the latest in underground utilities. They provide easy access to fishing, watersports, and lakeshore living. The lots start in the 90’s. Whatever you want, you can find it here, at Waterford. At Preston Homes of Texas, we believe in partnering with you to create not just your ideal home, but your best lifestyle too. We take the time to really listen to you, to help you build a house that you will want to come home to. Everyone remembers the movie “Its a Wonderful Life.” The message rings out loud and clear at any time of year. It tells you to put your family first. Treasure your friends. Stop and enjoy your life, savor the beautiful world around you. 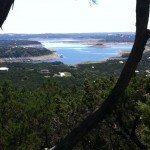 There is more to life, and Waterford on Lake Travis proves it. Take your lifestyle to the next level and contact us today.